Melissa Hullman's career features appointments to the violin and viola faculty of the Peabody Institute, and presentations in the US and abroad, including sessions at the American String Teacher's Association National Conference, masterclasses at the Peabody Preparatory, the Music School of Delaware, the International Suzuki Festival in Lima, Peru, and teacher trainings at the International Suzuki Festival in Lima, Peru, and the International Music Festival in Bogota, Colombia. Ms. Hullman served as President of the MD/DC Chapter of the American String Teachers Association, and has been Assistant to the Chair for the ASTA National Solo Competition, and Chair of the MD/DC ASTA Solo Competition. 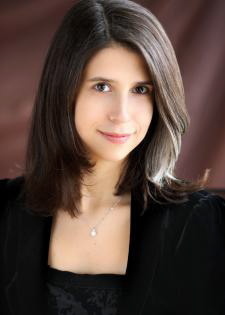 She has adjudicated numerous competitions and events, including the Peabody Honors Competition, Baltimore Symphony Youth Orchestras Concerto Competition, and the Pennsylvania/Delaware State Chapter's ASTA Certificate Exams. She co-founded and co-directed, with Rebecca Henry, the Peabody Chamber Camp, and was Chair of Peabody's Summer Chamber Music program, Co-Chair of Peabody’s Young People’s String Program, and Conductor of the Preparatory String Ensemble. Melissa Hullman's students have been honored as featured soloists in performances with Full Circle Dance Company, Baltimore Symphony Orchestra, Baltimore All County Honors Orchestra, at Maryland Artscape, and on the Education Channel; as first chair players in orchestras throughout the region, including the Maryland All-State Orchestras, Baltimore Symphony Orchestra Side-by-Side Concert, Baltimore Symphony Youth Orchestras, Peabody Youth Orchestra, Baltimore All-County Junior and Senior Honors Orchestras, Maryland Youth Symphony Orchestra, and the FAME Youth Chamber Orchestra; and as prizewinners in competitions including the Peabody Honors Recital and MD/DC American String Teachers Association Strings Plus Chamber Music Festival. They have auditioned for and attended summer music festivals in the US and Canada, including Tanglewood (BUTI), Heifetz Institute, and Interlochen, and have received scholarships to study Violin Performance and Viola Performance at Oberlin Conservatory, Peabody Conservatory, Boston University, and University of Maryland, among others. Ms. Hullman performs with orchestral and chamber ensembles spanning several genres, from her classical roots to tango and jazz, and has been invited to share the stage at such notable venues as the Kennedy Center, Canadian Music Week, the World Bank, Musikfest, Carnegie Mellon University, Maryland Artscape, the historic Fundación Orquestra Sinfónica de Juvenile (Bogotá), and Brooklyn's Jalopy Theatre. She has performed on albums featuring composer Jonathan Leshnoff, Americana songwriter Caleb Stine, Montreal indie folk band Frank Feutre, and singer/songwriter Ellen Cherry. Her musical collaborations include tango with Venezuelan pianist César Orozco, chamber jazz with pianist Marc Irwin, tango/jazz/improvisation with Jake Leckie and Susan Alcorn, and Indian music with K.S. Resmi, percussionist N. Scott Robinson, and tabla maestro Debu Nyack. As an orchestral musician, she has premiered and performed new works in performances with Inscape Chamber Orchestra and the Ann Arbor Symphony, and as a young violinist was a member of the York Symphony Orchestra. 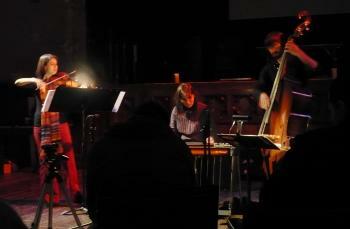 She performs regularly as a duo with her husband, cellist Doug Jameson, and with the Victoria Piano Trio. Ms. Hullman is also recognized for her work in injury prevention for musicians and peak performance coaching, and recently was invited to join the Music and Medicine faculty of the Peabody Conservatory of the Johns Hopkins University. For more information visit balancedmusician.com.